Shane Jacobson is not just one of Australia’s great acting talents, he is in high demand at corporate events as an Master of Ceremonies and keynote speaker. As an MC or event host Shane is witty and professional, ensuring your event is a success. As a speaker he delivers highly entertaining and engaging keynote speeches and after dinner talks about his unique life. Either way, Shane will make your event one to remember! 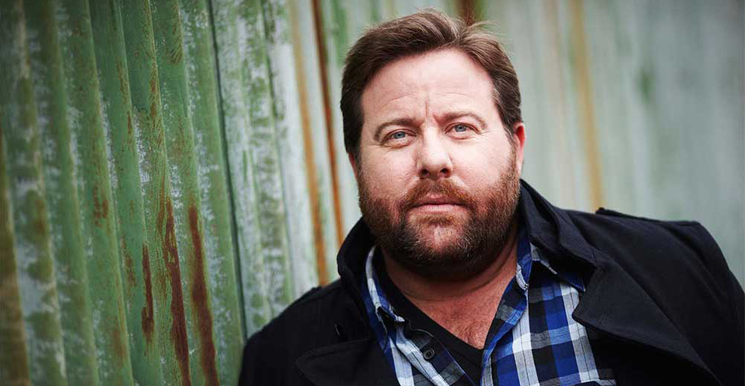 Shane Jacobson is one of Australia’s most loved, award-winning actors, presenters and entertainers, and has worked with some of the biggest names in radio, film, stage and television for more than 25 years. Performing has always been an important part of Shane’s life. It all began in amateur theatre at the age of 10 and he hasn’t stopped since. His quick wit and gift for characterisation cemented his early success, with gigs in stand-up comedy, as a TV audience “warm-up guy” and as radio character “Sergio” leading on to an impressive list of appearances in music videos, TV commercials and short films. But it was his role as the character Kenny Smyth in 2006 that brought him wide recognition both at home and internationally. 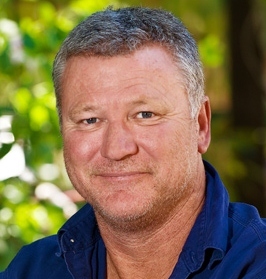 Shane won a string of awards for Kenny, including the prestigious AFI Award for Best Actor and, together with his brother and director CLAYTON JACOBSON, the 2006 IF Awards for Best Feature Film and Best Script and the Film Critics Circle of Australia Award for Best Original Screenplay. Kenny wasn’t just a critical success – it grossed almost $8 million at the Australian box office, making it the highest grossing Australian film in three years, and also became the highest selling Australian DVD release ever. Shane’s stage career has been just as successful. The role of ‘Nicely Nicely’ in the 2008 revival of the musical Guys and Dolls with LISA McCUNE, IAN STENLAKE, MARINA PRIOR, GARRY McDONALD and MAGDA SZUBANSKI, earned Shane a Helpmann Award for Best Male in a Supporting Role, and he's entertained thousands of theatre goers with roles in The Drowsy Chaperone (2010) with GEOFFREY RUSH, ROBYN NEVIN and RHONDA BURCHMORE, QI Live (2011) with STEPHEN FRY, 8 The Play (2012) with RACHEL GRIFFITHS, Shane Warne – The Musical (2013) with EDDIE PERFECT and LISA McCUNE, and Mother & Son (2014) with NOELINE BROWN and DARREN GILSHENAN. His TV appearances have been numerous and varied. From host and presenter of the Australian Film Institute Awards (2010), Top Gear Australia (2010, 2011), The Great Australian Bake Off (2013), The Logies (2015) and Little Big Shots (2017) to starring turns in telemovies Beaconsfield (2012) with LACHY HULME, The Mystery of the Hansom Cab (2012) with JOHN WATERS and Jack Irish (2012, 2013) with GUY PEARCE and BARRY HUMPHRIES, to roles in TV series like Kenny’s World (2007), The Time of Our Lives (2012, 2014), Fat Tony & Co (2014), Open Slather (2015) and Jack Irish (2016). Shane can, and does, turn his hand to just about anything. As an author he has penned automotive pieces for Drive and his 2014 autobiography The Long Road to Overnight Success became an instant hit and number 1 bestseller. In 2017 he explored his life as a motoring tragic in his second book Rev Head. As a producer he’s brought shows like Rock Soldiers (2011) and Hangin’ with Hoges (2014) to the screen. He’s been seen hosting events and programs like the Australian Motoring Festival, Top Gear Live, Friday Night Crack Up, The Living Room and Manspace, for which he is also the Executive Producer. As a singer he’s a regular guest at the annual Carols by Candlelight and fronted 2015’s sellout show A Night Out with Shane Jacobson and The Melbourne Ska Orchestra. Amongst this incredible body of work Shane has always found time for people and causes close to his heart. He is, or has been, the patron or ambassador for HeartKids Australia, Scouts Victoria, Indian Motorcycles, Docklands Film Studios, Polaris Offroad Vehicles, Australian Side by Side Racing Championships, HMAS Canberra, Get Reading, Entertainment Assist, The Mirabel Foundation, Variety and Parkinson’s Victoria. As a brand ambassador Shane has been promoting IGA Australia's supermarkets and the Isuzu truck range since 2016. “Excellent, Shane did an excellent job and the audience loved him. He was easy to deal with and highly professional, particularly as we had a few program changes along the way. Highly recommended – a great MC!" "He was fantastic. I have never seen Shane MC anything before so it was pure delight for me to see him in his element and do such a fine job. He wasn’t just an MC, he was entertaining, and that I think is the thing that sets him apart from the pack. I don't know how we can find someone better for next year!" Shane was highly professional and did a fantastic job of keeping the night rolling smoothly and quickly. Most importantly he was hilarious too, he had the audience members doubling over in laughter and we have had nothing but positive feedback from everyone who attended our event. Most impressive was his improvising and thinking on his feet. Ten out of ten to Shane Jacobson." "Shane’s presentation was a highlight of our conference, being a thoroughly entertaining and engaging speaker for our Gala dinner. Shane’s talk was a great balance of story-telling, motivation, and comedy all rolled into one. It was even more pleasing to have Shane attend our dinner and stay and talk with all the guests throughout the evening and well into the night, which was ‘above and beyond’ what would be expected of many speakers. I would highly recommend Shane to other corporates looking for an interesting and entertaining speaking for their event." "Shane communicated and engaged the crowd like I’ve never seen before. A wonderful MC with all the skills to ensure the night is a success." "Please convey our thanks to Shane Jacobson for a wonderful job at the 2012 WorldSkills Australia National Competition. The feedback from guests who attended on Sunday has been full of praise. His an absolute delight and the ultimate professional, keeping the evening on track and audience entertained. I hope we have the opportunity to work with him again."